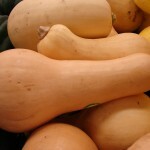 Butternut squash has a yellow-orange skin and orange fleshy pulp. 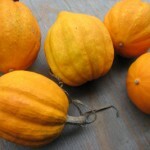 It is sweet and has a nutty taste, similar to a pumpkin. 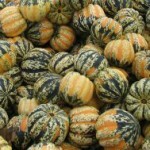 Carnival Squash has stripes of green, gold, and orange. It has a sweet, mellow taste. It is works great in a variety of recipes. 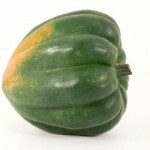 This squash is typically 1-2lbs and 4-7 inches long. It has deep, longitudinal ridges. It comes in a variety of colors including, green, orange and white. 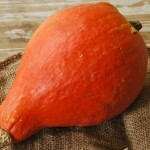 This squash has a red-orange skin. It has a tear drop shape and ranges from 5-10lbs. The golden flesh is smooth, dry, sweet and rich. 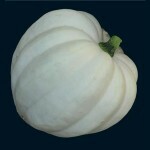 This squash is usually a light yellow color. 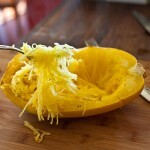 The flesh is bright yellow or orange and solid when it is raw. When it is cooked, the flesh falls away from the fruit in ribbons or strands like spaghetti.